The Mediquations app was developed to allow healthcare workers to have medical formulas and scoring systems at their fingertips. The app contains over 200 different medical formulas. The app was developed by a physician at UTSW and was the original medical calculator added to the iTunes Store. 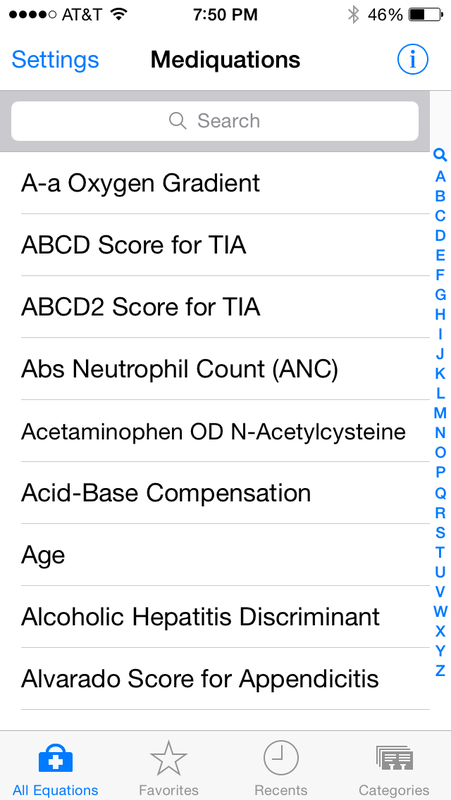 User Interface: The app opens up with an alphabetical list of medical formulas that the user can choose from. There is also an option to sort the formulas by category which may make it easier for the user. There is also a search bar at the top of the screen. Once a formula is selected, the user can add the values for the various input variables that are needed. 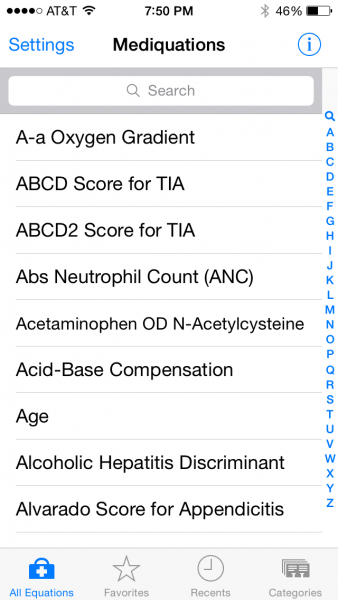 Once the information is entered, the app calculates the score or values that the user needs. 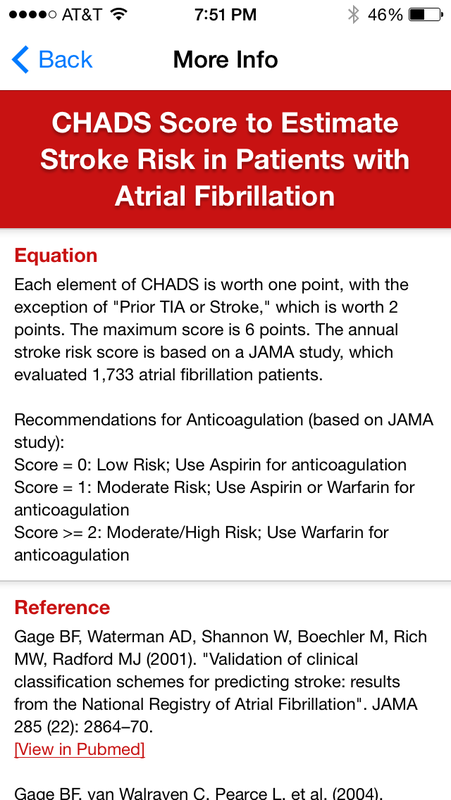 The app has a more informational section that gives a brief blurb about the formula or scoring system being used which includes references. There are useful features such as the ability to add notes and to favorite certain formulas that are used more frequently. 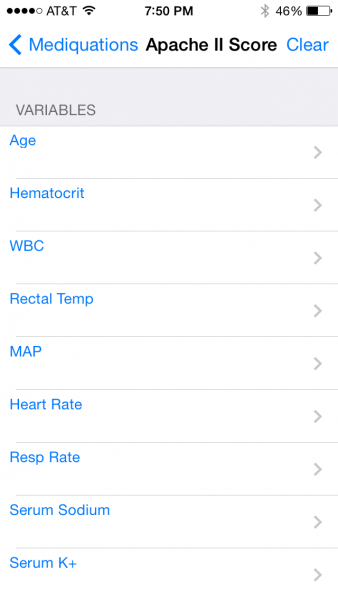 Although price point is comparable to some of the other medical calculator apps, there are cheaper medical calculator apps and free ones as well. 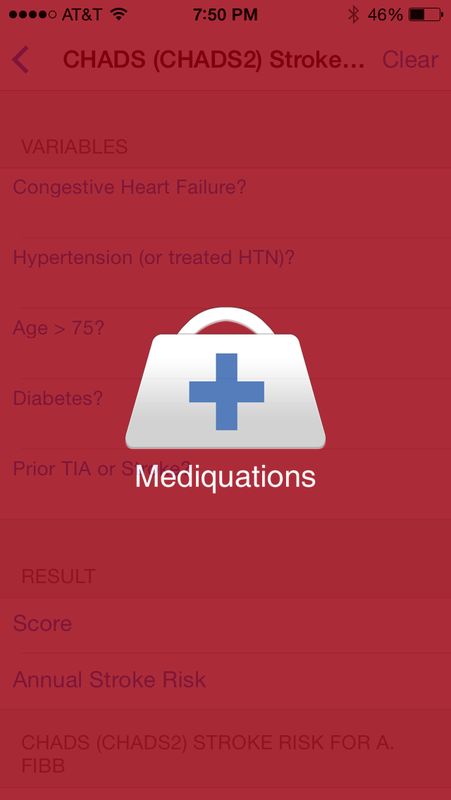 The Medequations app is another app available that includes medical formulas and scores. It’s layout and content is comparable to similar apps that are already available such as MedCalc and ClinicCalc. The app includes over 200 formulas which is also comparable to similar apps in the app store and the price at $4.99 is also comparable. 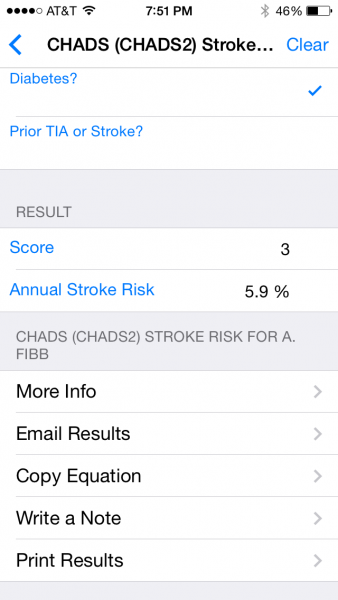 Overall, the app is a useful tool in the healthcare setting. 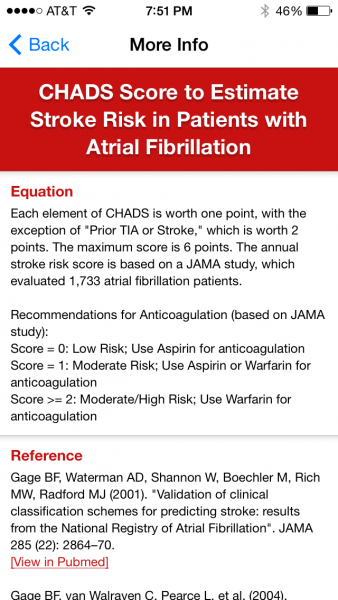 Useful tool in the healthcare setting. 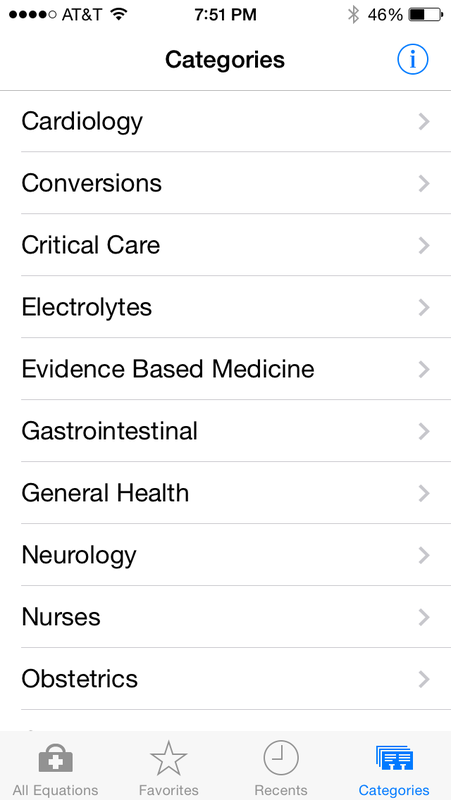 Has over 200 commonly used medical formulas and scores.